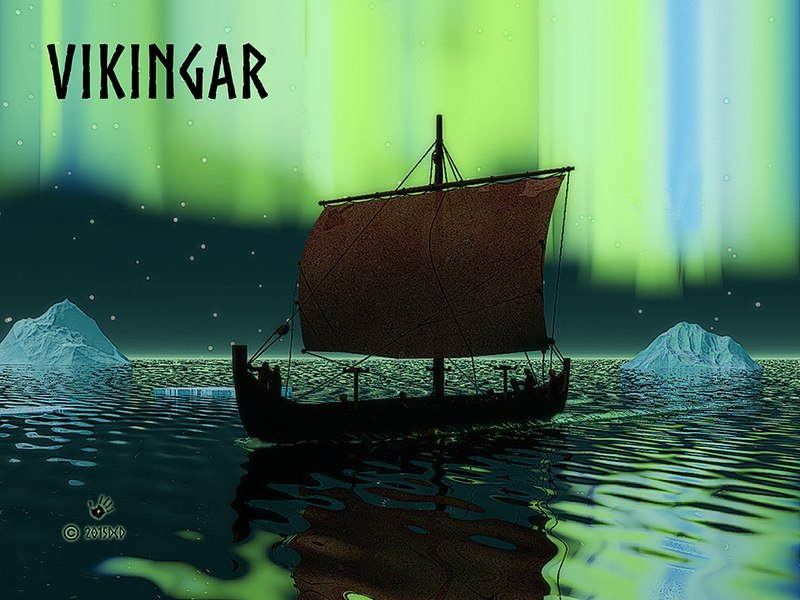 A slightly stylized image of a Viking longship sailing under the Northern Lights; most of the crew is asleep, a few are on watch as the vessel navigates scattered ice. 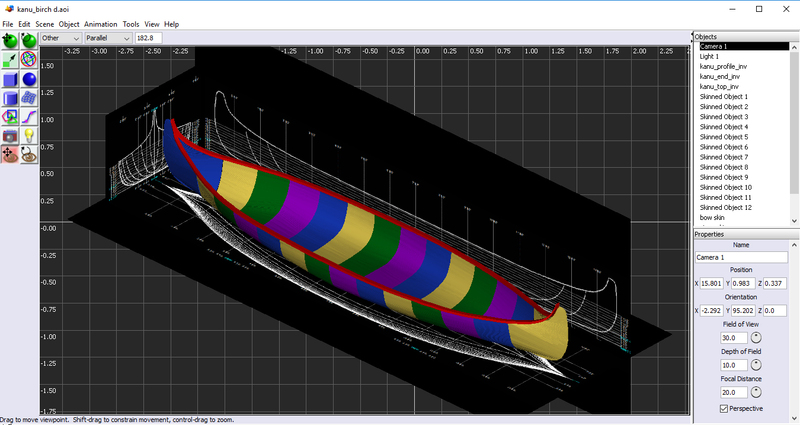 I took a few liberties, ignored physics, for artistic effect, so that the mast could be seen through the sail. 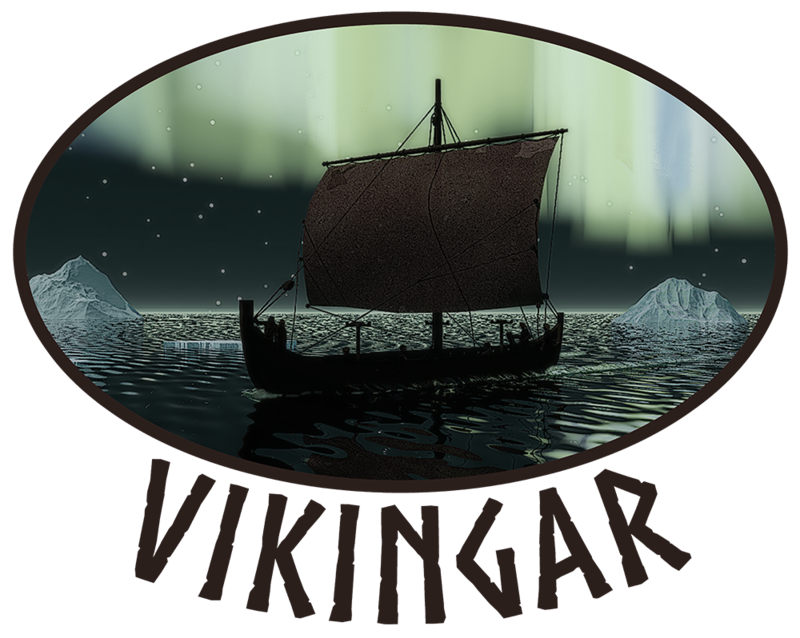 As far as I know no Norse sails have survived to the present so I made a few guesses as to how they were made and the material used. It is known that sails were sometimes dyed red to suggest blood and intimidate enemies. I have always been interested in both the Inuit, the Norse communities in Greenland and their explorations and their unsuccessful attempts to settle in North America. 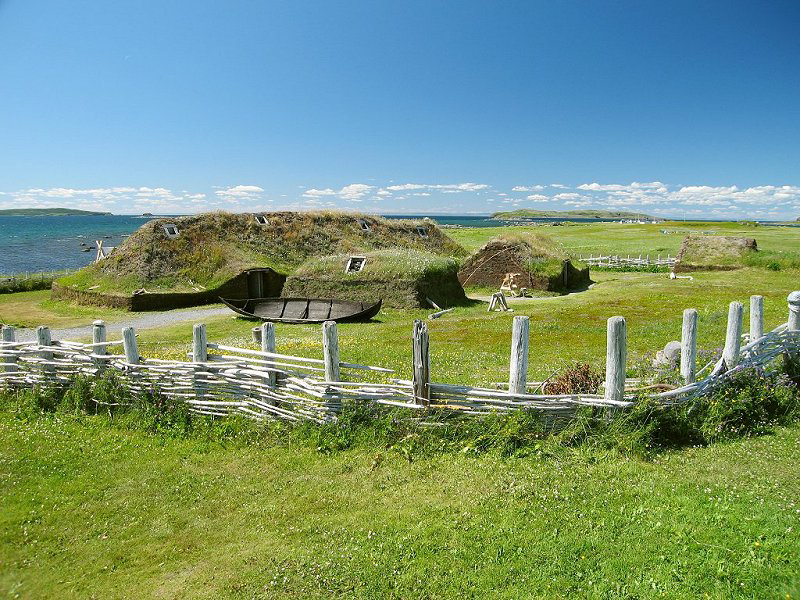 It is well known that the Norse were in what is now Canada and the United States, but researchers are unsure as to exactly where they might have come ashore, save for the site at L’Anse aux Meadows in Newfoundland. While working on the picture I came across a related article, appended below; researchers have found strong evidence of a second Norse site on Baffin Island in Arctic Canada. 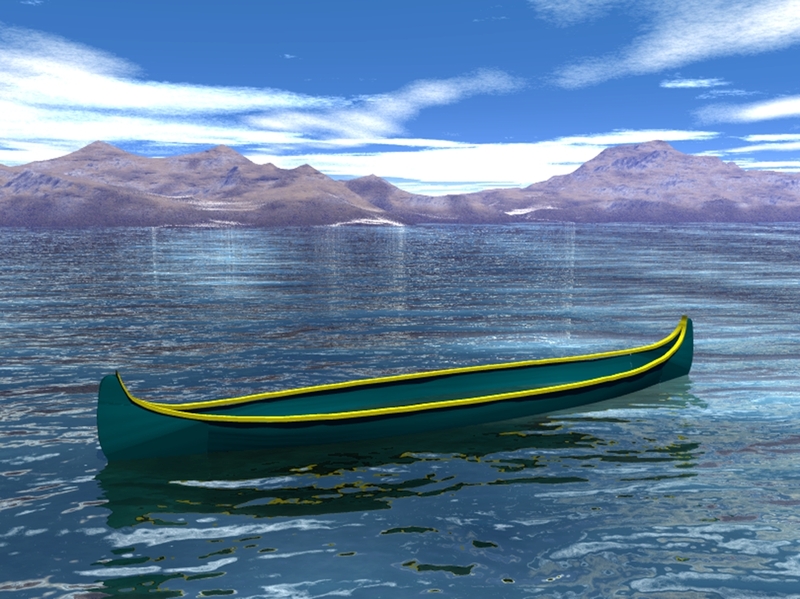 It has long been thought that the Norse may have explored the Canadian Arctic and entered Hudson’s Bay. I highly recommend that you visit L’Anse aux Meadows if you can. The reproduction Norse buildings are extremely interesting. The site was discovered in 1960 by the husband-and-wife team of Helge Ingstad, and explorer, and Anne Stine Ingstad, an archeologist. Helge Ingstad also co-authored Land under the Pole Star. A Voyage to the Norse Settlements of Greenland and the Saga of the People that Vanished with Naomi Walford which describes the life of the Norse colonies in Greenland which survived for about 500 years. By Heather Pringle, for National Geographic News. While digging in the ruins of a centuries-old building on Baffin Island, far above the Arctic Circle, a team led by Sutherland, adjunct professor of archaeology at Memorial University in Newfoundland and a research fellow at the University of Aberdeen in Scotland, found some very intriguing whetstones. Wear grooves in the blade-sharpening tools bear traces of copper alloys such as bronze—materials known to have been made by Viking metalsmiths but unknown among the Arctic’s native inhabitants. In the 1960s two Norwegian researchers, Helge Ingstad and Anne Stine Ingstad, discovered and excavated the Viking base camp at L’Anse aux Meadows on the northern tip of Newfoundland—the first confirmed Viking outpost in the Americas. Dated to between 989 and 1020, the camp boasted three Viking halls, as well as an assortment of huts for weaving, ironworking, and ship repair. In search of other clues to help solve the mystery, Sutherland turned to the Geological Survey of Canada. Using a technique known as energy dispersive spectroscopy, the team examined the wear grooves on more than 20 whetstones from Tanfield Valley and other sites. Sutherland and her colleagues detected microscopic streaks of bronze, brass, and smelted iron—clear evidence of European metallurgy, which she presented October 7 at a meeting of the Council for Northeast Historical Archeology in St. John’s, Canada.